How Did Doctors Use Social Media In 2013? 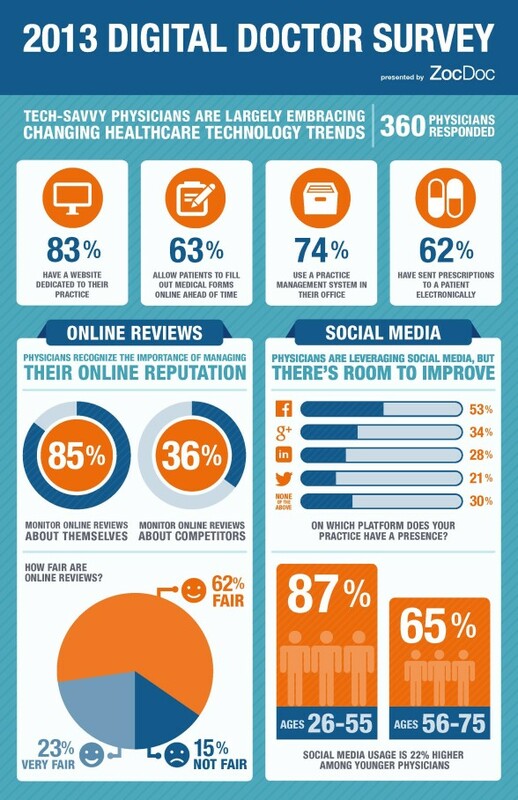 A Digital Doctor survey commissioned by ZocDoc reveals which social media tools digitally savvy doctors are using. I am surprised to see no mention of Twitter in the top 3, particularly as I have collated a list of over 600 doctors who are active on the platform. Interesting to note that 65 percent of physicians who said they have a social media presence are aged 55 to 75. I am looking forward to seeing how this data shapes up in the coming year. Previous Post Social media: the way forward or a waste of time for physicians? How were the 360 doctors who responded selected? What was the total pool? How many did not respond?